Loutro Crete, in Greek Λουτρό, is a tiny seaside village in a small protected harbour on the south coast of the island. The village is 96 km from Chania and 84 km from Rethymnon. The village has no roads and no access except by foot and by sea. 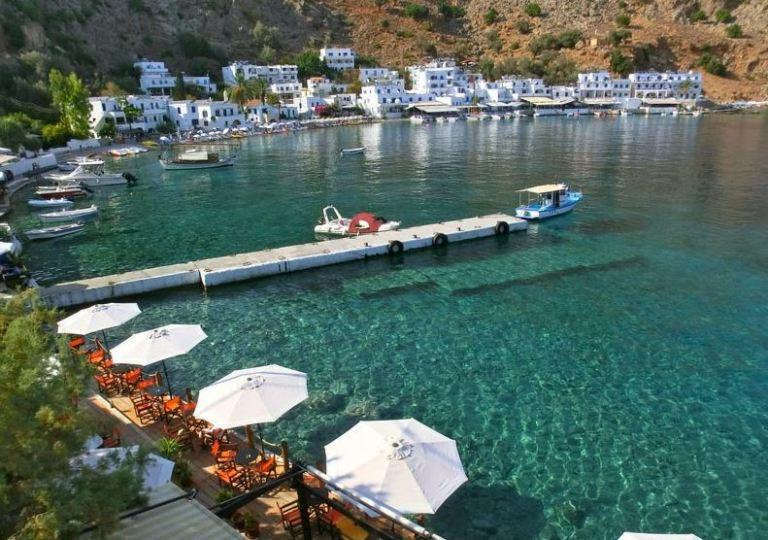 The idyllic setting of white-washed houses and sparkling azure bay is your reward. 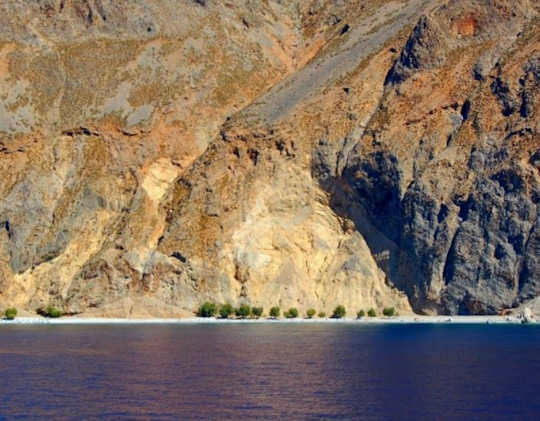 Below we show three ways to walk to Loutro Crete. This spectacular walk can be achieved in one day, as it really only takes about 2 hours. Yet you may wish to stop at Ilingas Beach or Sweetwater Beach along the way. From Chora Sfakion take the paved road west to Anopolis, to Ilingas Beach, then after the first bend in the road at 2.7 km, the path joins the E4 Trail to Loutro. This is easy walking with great views all the way to Gavdos Island. There is a large sign to mark the trail ‘Sweet Water Beach E4’. The path is rocky and single file, with steep drop-offs towards the sea. In summer it gets really quite busy with other walkers, so it is best to start early to beat them and the heat. There is no cover, just a very rocky terrain and chalky, dry, pebbly path, with spiky low ground bushes sparsely dotted about the hillside. The immensity of these mountains falling into the sea is your constant companion. The tough terrain has its own beauty, which is why it is preferable to take this walk in spring or autumn when there is more space and silence away from the crowds. There are plenty of steps both on the incline and decline so it is a work-out for the knees. Those whose relationship to heights in tenuous would be best to reconsider this walk. There are no barriers for considerable lengths of the trail. It just takes common sense. There are a few tamarisk trees for cover on Sweetwater Beach but the rest of the walk is exposed to the weather. Ensure you take a hat and sun protection. The main item to take with you is time. Just relax, take the time to stop at each beach and dip into its crystal clear waters. The walk starts at the top of the Aradaina or Aradena Gorge - Φαράγγι Αράδαινας at the deserted village of Aradaina, in the Sfakia region of the south of Crete. The start of this walk at the top of the gorge is 15 km from Chora Sfakion and connected by road. 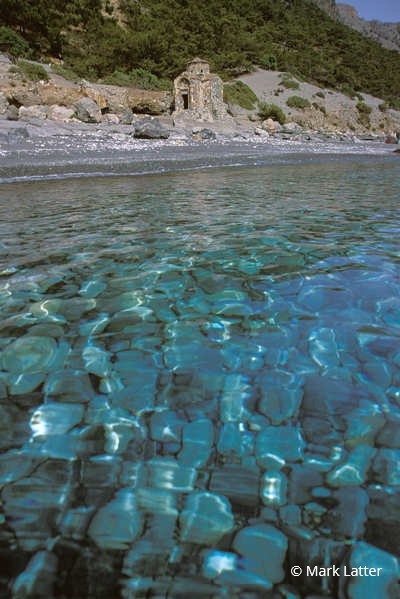 There is one bus per day in summer, otherwise Taxi Sfakia can transfer you from Chora Sfakion. 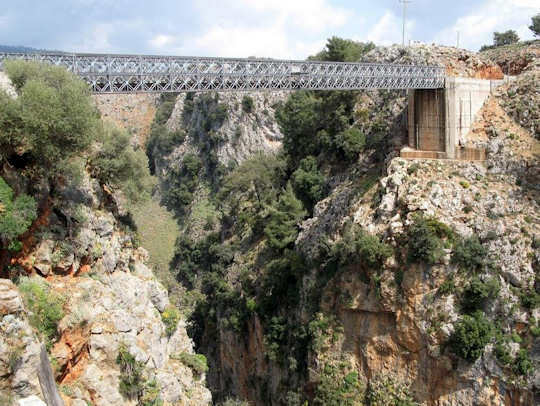 At the top of the gorge is a modern bridge from where, in summer, you will see and hear the joy and screams of bungee jumpers. 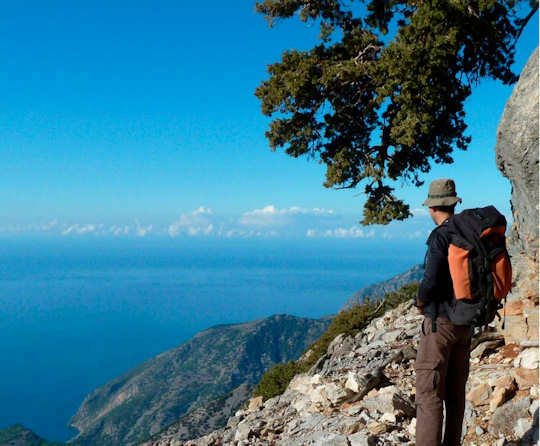 You will walk down the trail which is steep and rocky in one of the most spectacular deep gorges of southern Crete. This gorge is not as busy as Samaria Gorge and in many ways just as interesting. Again, it is best to walk here in spring or autumn and avoid it in summer due to high temperatures and many visitors. The walk down the gorge is 7.5 km. This is not for inexperienced walkers. This requires good footwear, some experience with rough, steep and rocky tracks, and a good head for heights. Leave around 3 hours for the walk down. Then you will come to the sea at Marmara Beach. Marmara Beach is a stunning beach partly of pebbles and partly of marble white rock, with sea caves to explore. 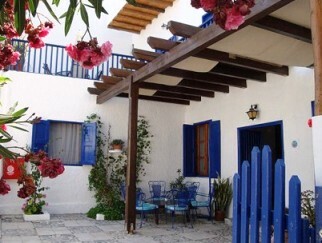 There is a taverna and plenty of space to relax and dip in the sea. 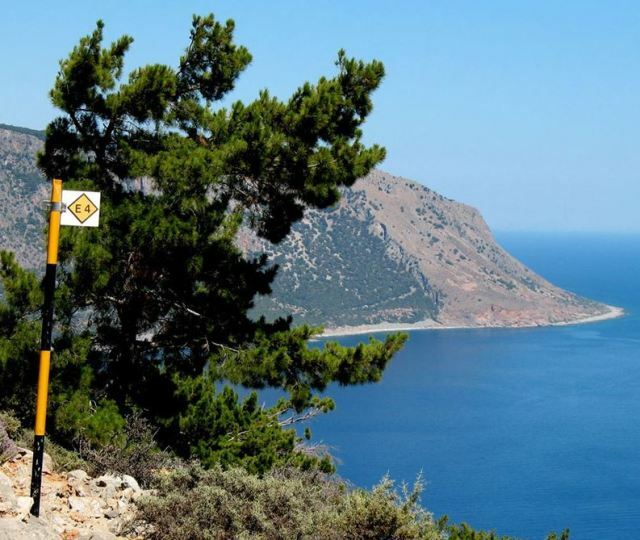 After relaxing on the beach, turn to the east and walk along the E4 trail another 3 km to Loutro, leave approximately 1 hour for this rugged yet rewarding coastal walk. At the small cove of Likos Beach there is a Byzantine chapel, then you will reach the bay of Finikas before climbing up to the Mouri Cape, where there are ruins of a fortress that protected the bay of Loutro. 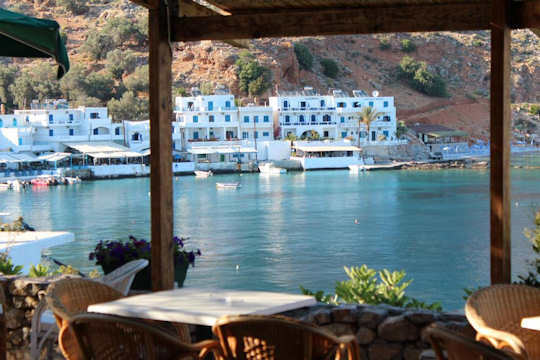 Coming into Loutro Crete you will be rewarded by shady tavernas next to the clear waters with many tasty seafood dishes and a cold glass of beer. Maybe you have earned an ice-cold ouzo? Take the bus from Chania to Paleochora and enjoy some time in that lovely village by the sea. Prepare for your three day walk with plenty of water etc. See the guidebook information below. Day One - start your trek from Paleochora by walking to Sougia on the E4 European Walking Path. This section is 14.5 km and takes about 6 hours, interrupted only by beautiful beaches. In summer start early to avoid the heat. Walk to the east of Paleochora and follow the yellow and black E4 markers. There are some very steep trails with rocky paths. Visit Gialiskari Beaches and Astropelekita (Thunderbolt) Beach, a tiny cove amongst the rocky shores. 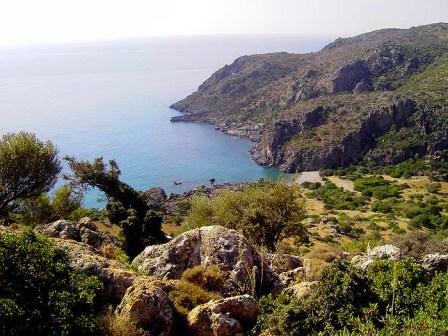 After walking 11 km from Paleochora you will see the ancient ruin of Lissos, with its own small cove. In the crumbling structures dating from 320 BC have been found baths, a theatre, an aqueduct a healing temple and a cemetery. This was thought to be the port for the ancient town of Elyros, high above. After seeing the ruins and perhaps taking a dip at the scenic small beach, walk on just 3.5 km to arrive at the coastal village of Sougia. Make sure you book ahead for accommodation in Sougia in the busy season because it is a tiny village with a limited number of rooms. 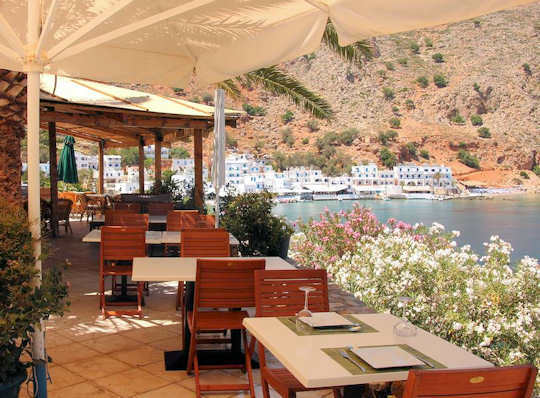 Enjoy fresh seafood at a taverna by the sea. Day Two - from Sougia continue on the coastal path to Agia Roumeli for a big hiking day of 20 km over many gorges and rough terrain. This is a long and strenuous walk for experienced hikers, with stunning views over untouched coastlines. From Sougia walk east and join the E4 markers to hike up to ancient Pikilasos and the fortress Voukelasi, through some forests and some open rocky hillsides. Pass by the entrace to Tripiti Gorge and arrive at Sendoni Beach, perhaps resting here before climbing up again and find Domata Beach. The sight of the mountains plunging into the sea and the contrast of the flinty landscape against the deep blue of the Mediterranean illuminates the walking path. Now the trail is very steep, rising through the fir trees and one of the hardest sections with narrow cliffside pathways. Again this is unsuitable for those not good with heights. After this final hillside you will arrive into Agia Roumeli, again it is best to have booked ahead for accommodation. You may find many day walkers there who have just completed walking the Gorge of Samaria and they will take the afternoon ferry back to Chora Sfakion, leaving Agia Roumeli quiet and peaceful. This beach is a lovely spot to sit and rest your feet after a good day's walk. Day Three - this 13 km section includes similar narrow rocky paths, steep inclines and declines, magnificent views and the picturesque chapel of Agios Pavlos by the sea. There are again some forested sections with a bit of shade but mostly the walk is open to the sun. 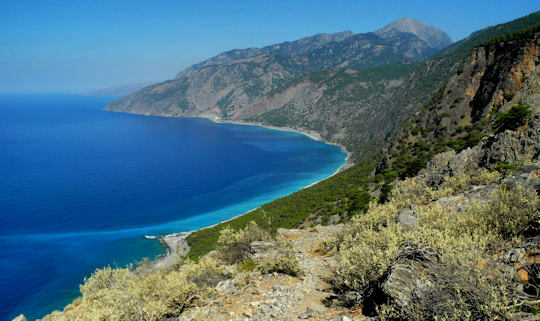 Walking along the pebbly Agios Pavlos Beach and up and over the hillside you will come to Marmara Beach at the entrance to Aradaina Gorge, then onto Likos Beach and Finikas before the ruins on the cape and your first view of the magical bay of Loutro Crete. Porto Loutro Hotel On The Hill is on the west side of the bay. This is the sister to Porto Loutro in the middle of the village, at both the Androulakakis family will welcome you. This hotel has clear sea views, lovely rooms and its own taverna. It doesn't really matter which way you walked to Loutro or if you took the ferry, surely you deserve some quiet time down by the sea with a coffee, or a beer, or an ouzo? With modern fittings and really lovely mattresses, this is the place to rest those weary bones. One of the best views in the world, allow it to sink into your memory. Villa Niki in Loutro is set a little back from the seaside ensuring some privacy and elevated with good views. With kitchenettes and private balconies, family rooms, good wifi and lovely friendly staff, this is a great choice in Loutro Crete. The Cretan Way by Luca Gionotti is the first and only full guide book to the E4 European Walking Path in Crete. Published by Anavasi, this guide includes maps, GPS, travelogue, descriptions and tips for accommodation for the 500 km trek in Kriti. Please take all your rubbish with you and don’t build any of those silly piles of rocks. 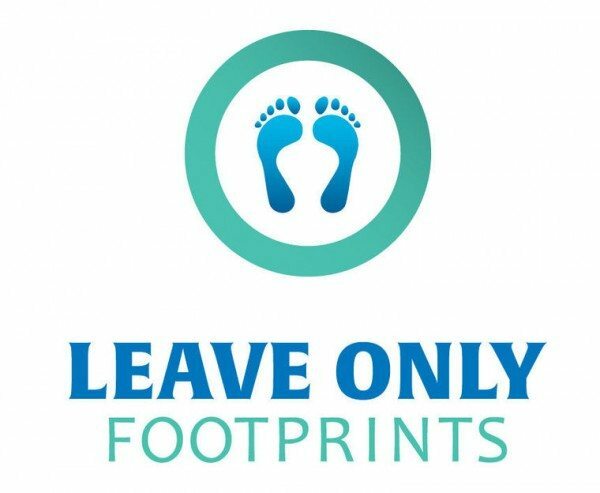 Just leave it all as you found it and leave only footprints! Wonderful.